At TLA Services our detailed and knowledgeable team is passionate about improving the comfort of our customer’s homes and businesses, offering quality air conditioning installation to Balwyn and surrounds. Thanks to our training and hands-on experience we have helped domestic and commercial residents across Melbourne with their climate control requirements with our lasting and innovative solutions. We keep you comfortable all year round, offering everything from split system air conditioning for effortless cooling to ducted heating for efficient warmth. Whether you are after personalised and efficient heating or cooling, we can provide you with multiple units and products to deliver the solution that best meets your specifications. From split system air conditioners to ducted heating, Balwyn residents can rely on us to supply and install the most durable and responsive climate control units available on the market. With ducted heating, Balwyn locals can enjoy consistent warmth throughout the entire home, which also happens to be far more energy-efficient than space heating. Our most popular cooling system is by far the split system. 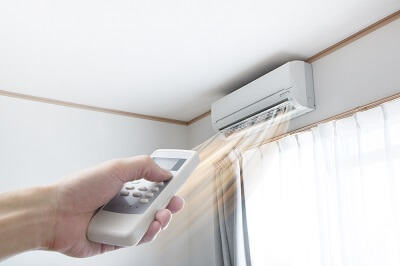 Balwyn residents looking to have complete control over their cooling can do so with a split system air conditioner, as it can easily be zoned and adjusted as per your requirements. To learn more about the benefits of our professional and prompt air conditioning and ducted heating installation services Melbournians in and around Balwyn can call us on 0430 234 057. Whether you’re after a new split system air conditioner or complete ducted system for whole home comfort, give us a call for a free, no obligation quote. Servicing areas from Melbourne Metro to Mornington Penninsula. At TLA Services, we can help you choose the right system to suit your needs and budget. © Copyright TLA Services 2018. All Rights Reserved.